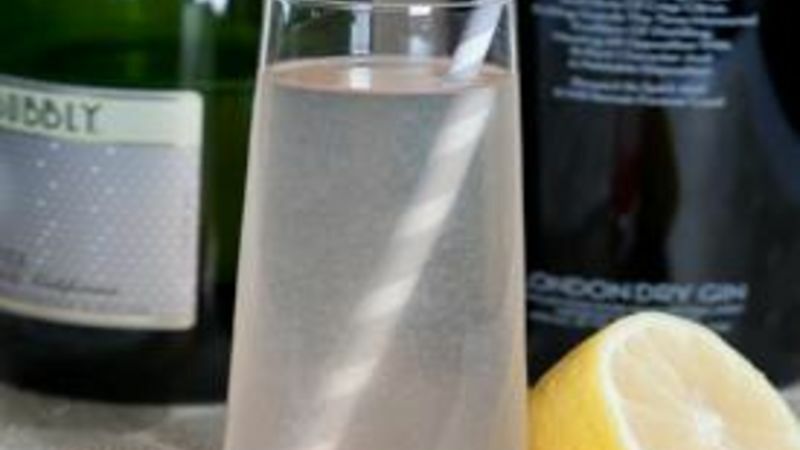 Add the champagne, gin and lemon juice into a champagne flute. Spoon in the sugar and stir until it's dissolved. Drop in two maraschino cherries.